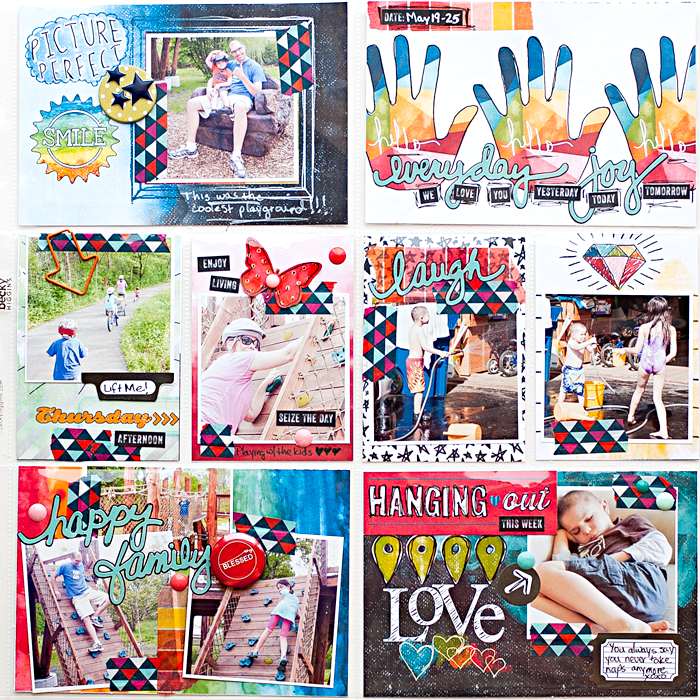 I'm excited to share my next page with you in my Project Life album. I'm beginning to think that there is no way I'll be able to squeeze the whole year into one album though. It's already starting to get pretty full. I'm surprised since I really haven't added that many inserts, Thickers or chipboard embellishments. I guess we'll see. Aren't the colors YUMMY?!?!?! I seriously think it might be my favorite collection from Jaimee, though I think I say that every month, lol. I'm totally in LOVE with Just Jaimee's new Storyteller collection. You are going to see lots of it in June while I share some fun techniques you can do digitally as we dive into using Photoshop and I share my LOVE for hybrid. You should see my face right now. I've got the biggest smile just thinking about it. Be sure to come back Wednesday for the next edition of Workflow Wednesday and the beginning of our Photoshop and hybrid series. I can't wait to see you!